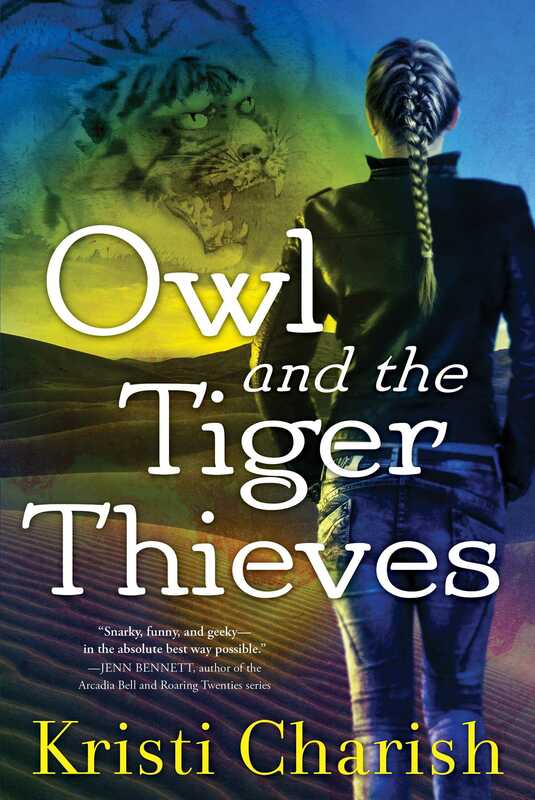 The fourth book in Kristi Charish’s urban fantasy Adventures of Owl series, Owl and the Tiger Thief, is out now! Today Kristi shares with us her favorite sequels! What are yours? 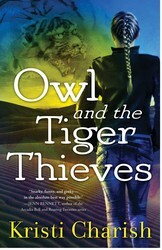 The fourth novel in my Adventures of Owl series just came out. I won’t lie, it’s been a stressful couple months. Sequels are hard. Much like any relationship (romantic or otherwise), with a sequel comes expectations. Sequels can’t rely on those new relationship flutters that come from finding a great new story or character. Much like a new crush, the novelty and wow factor of a new series love affair can wane, and fast. Let’s face it, by the sequel you don’t just need to match your first outing, you need to knock it out of the ball park. Sure, last months crush is still cute and fun and not half bad in the sack, but what are their life goals? Do they have a five year plan? What about personal growth? All answers don’t need to come out in the next date, not even the next year, but the answers need to start trickling in, all while still being fun and entertaining! That takes timing – and timing is tricky. Like I said, like dating, writing a good sequel is panic inducing. And with that, I bring you some of my favorite sequels – These are the ones that I look too when I need inspiration (or to talk myself down from a writing panic attack), the ones that I keep reaching for no matter how many times I’ve watched/read/or played. Indiana Jones and The Temple of Doom/Last Crusade – One of my all time favorite movie series (the first three anyway). The genius of the Indiana Jones movies was that they avoided story fatigue by having each a brand spanking new adventure (ie: a standalone). It’s like meeting your crush for the first time every time! The Empire Strikes Back – Harrison Ford appears twice on my list – Coincidence? Unlike the Indiana Jones movies, which got around the sequel slump with standalone adventures, The Empire Strikes Back is a continuation in every sense of the word – same characters, same quest, same struggles. But this movie sequel succeeded by going where others feared to tread – like the second act of a tragedy, it keeps us on the edge of our seats by taking the characters in new – mostly awful – situations. FYI: it doesn’t have a happy ending. The Empire Strikes Back is considered the best of the Star Wars series because it puts the characters through their paces, and we want to help them. Like a buddy in a zombie apocalypse, the struggle brings us closer to them. Mass Effect 2 & 3/Dragon Age 2/ Final Fantasy – You read that right, these are videogames- three of them and inside is hands down some of the best SFF and fantasy writing out there. Writer’s could really learn a thing or two from the way the big video game series run a series. Granted, they have their fair share of flops, but when video games hit their mark their players are in for the win. The adventure is so fun and engaging through play and story that we keep handing over our money, again, and again, and… Emersion doesn’t guarantee a good sequel, but gosh darn it, it helps! Mrs Fisher’s Murder Mysteries – No, it’s not just the amazing clothes, the beautiful 1920s homes, and Phryne Fisher’s endless roster of attractive boyfriends. This series keeps me coming back for more because of the power of the serial. Each week there’s a new dead body and a murder mystery to solve – but unlike a horror movie we know she’ll solve it by the end. It’s like the date that maybe isn’t as impetuous and spontaneous as you’d sometimes wish, but there’s something to be said about that cozy glass of wine by the fire you know you can count on. It’s familiar, it’s satisfying, and gosh darn it, there’s nothing wrong with a cozy mystery in fashionably tailored clothes! Now what are your favorite sequels?